So, another website about crystal skulls. What is that about? Well, I can say your karma brought you here. And maybe that is the case. But true or not, this site is not about karma and is definitely not a guide for a better life, more health, wisdom and money. It just is my try for a helping hand on your own path. A hand filled with crystals, skulls, dragons, wands and daggers. Of course you can find information about skulls and dragon energy, but keep in mind that this is always my way of seeing, experiencing and believing. Your way might be the same or different, but most important, it is your way. I hope you will fall in love with one of my creations of course. Or, in other words, that a skull or dragon chooses you as his or her caretaker. I hope you will experience - as many before you have - that my dragons, skulls, daggers and wands have ‘soul’. But most of all, I hope you will find some inspiration to make your spirit, your soul stronger and to let you make a step forward to spiritual life. In the end that will lead the a better world with awareness for nature, creatures and fellow beings and of course with love. So please, explore the pages, wander around the crystal energies and enjoy. On this site you can find the proud SoulSkulls family, i All of the items in the album ‘My Family’ and in the shop (except for the personal collection part) are handmade and polished by AJ Crystal. Regarding carving, handcraft is in my opinion the most pure way of energy exchange. Wat a great gift to be able to do this. When working with the stone, all earthly and daily worries fade away like snow in the sun. At that moment ‘I am’ no more and no less. The energy of the stone is flowing through your body and mixing with your own spiritual energy. The first inspiration I had at a carving workshop by Ivo Manus. That was great! After a day carving, scraping, smoothing and polishing I was completely hooked. Most of Ivo’s tips and tricks were golden and – with grattitude – I still use many of them. For me carving a skull consists of four stages. First one is picking the stone and connecting with it (at this point the intention of the stone is coming through). 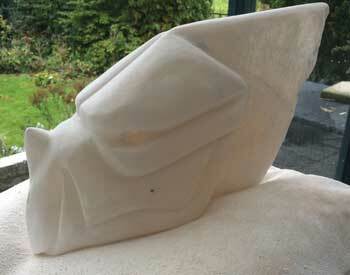 After that the carving itself takes place (the intention is getting clearer and is almost controlling my movements). And of course, polishing… At that third proces, the bond with the skull is the closest. Sometimes there are messages and sometimes it is just a feeling or a hunge. At last the skull will be fully activated with the help of the light energy and will connect (for one night at least) to my most dear personal skulls. After that the skull is ready to meet the new caretaker. Every skull will be posted wit all my lover and a piece of crystal as compagnionship. Recently I started to make personal skulls on request. The way of carving is mostly the same, but I tune in to the person I make the skull for, using personal contact (email, pm or if needed phone) and two decks of tarotcards (Oracle of the Dragonfae and Osho Zen). The energy I get will be mixed during the process. Eventually it is the stone and the skull which decide what that specific person needs. With the personal skull a description of my experiences will be added. For more information go to ‘My Family’.